Now is the time to make sure your internet activities are secure against hackers, snoopers, and viruses. If you don’t take proactive steps to protect your computer, you can fall victim to online threats that will do you serious harm. To give yourself the very best protection, try using a VPN service from Kepard. 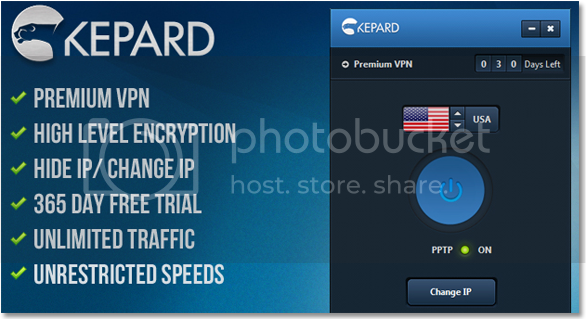 For a limited time, you can win access to Kepard’s VPN protection free of charge for 3 months. Right now, Kepard is giving away 3 premium VPN accounts, which include all of the company’s best features. Not only are they free, but they are fast too, ensuring that your internet speed doesn’t dwindle while you are surfing on the VPN. Protection and performance: How’s that for a good deal? If you use the internet for anything that involves personal information, from online shopping, to email, to reading about sensitive topics, then a VPN is exactly what you need. With Kepard, you can get VPN services based in the U.S.A., the UK, Canada, Germany, and the Netherlands. With Kepard, you’ll be able to surf the web without stressing about viruses, hackers, malware, or governments and ISPs that spy on your internet usage. Besides that, VPN is a great way to skirt geographic restrictions that prevent users located in a given country from accessing certain sites, meaning that you’ll be free from internet censorship. Adding your name into the drawing is a cinch. Simply follow the steps below. Leave a comment on this page explaining why you want to win a Premium VPN account from Kepard. Log on Facebook and check out the Kepard Facebook page. Click “like,” and then check back to this page soon to see if you’ve won.